From 2008-2017, Jim Schwab managed APA’s Hazards Planning Center, but his direct engagement with natural hazards and disaster issues began in 1993, when he was a Senior Research Associate in APA’s Research Department. He was placed in charge of an innovative project funded by the Federal Emergency Management Agency to develop a Planning Advisory Service Report, Planning for Post-Disaster Recovery and Reconstruction. The report became a cornerstone in the planning profession in the development of an entire subfield devoted to hazard mitigation and disaster recovery. By 2014, with the publication of Planning for Post-Disaster Recovery: Next Generation, accompanied by the creation of substantial online resources for the planning community, Jim brought the subject forward again. Shortly afterward, APA approved the creation of the new Hazard Mitigation and Disaster Recovery Planning Division, a membership division that serves as a great partner to the Center. Throughout the years until his retirement from APA, Jim repeatedly demonstrated leadership in shaping the thinking and practice of the planning profession in the field of hazards. 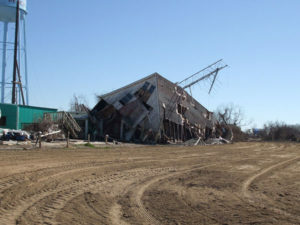 At a time when hazard mitigation was often seen by planners as the domain of emergency managers and was often handled apart from local comprehensive planning, Jim conceived and executed another FEMA-supported project that resulted in the 2010 publication of PAS Report No. 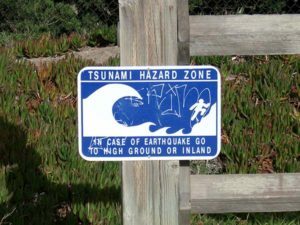 560, Hazard Mitigation: Integrating Best Practices into Planning. Assembling the best experts available as contributors, Jim helped usher in a new focus on integrating hazard mitigation priorities throughout all elements of the local planning process. 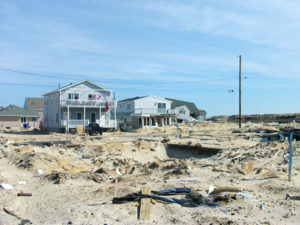 This idea has become central to FEMA guidance on hazard mitigation and is increasingly common practice in local planning. Jim was often prolific in his advocacy of more innovative planning approaches to hazard mitigation, disaster recovery, and more recently, climate adaptation. See a more complete list of his publications here. Jim was consistently more than a research project manager. He was and remains a frequent public speaker at a wide variety of professional conferences and other venues. He was involved in and led training projects, notably including a post-Sandy effort to develop a week-long series of workshops on post-disaster recovery in New York and New Jersey in April 2013. He was involved overseas as part of an interdisciplinary assessment team in Sri Lanka in 2005 following the Indian Ocean tsunami and held a Visiting Fellowship in 2008 with the Centre for Advanced Engineering in New Zealand, in addition to helping organize HUD-funded, Spanish-language training workshops on site planning in the Dominican Republic in 2001 following Hurricane Georges. There are few people who have left a bigger imprint on the planning profession’s engagement with natural hazards. For more biographical information on Jim Schwab, see his personal website at www.jimschwab.com.